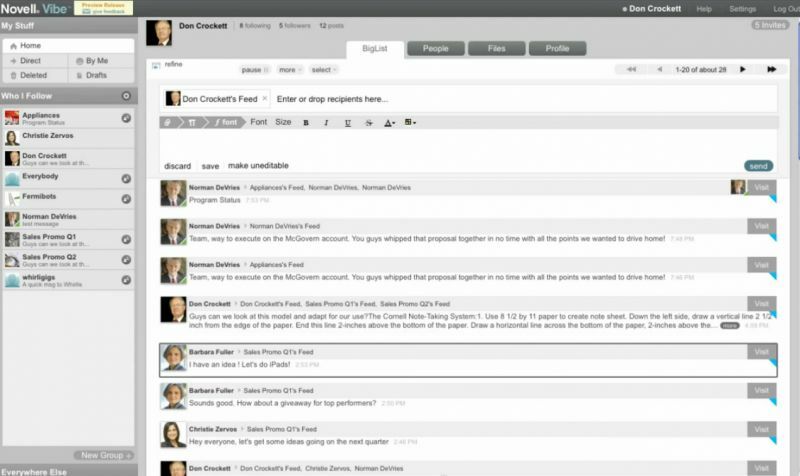 Enterprise social networks make it easy for employees to collaborate and communicate in office environment. They use technologies, that people already used to in public social media services: profiles, connections, follows, likes, microblogging, gamification etc. 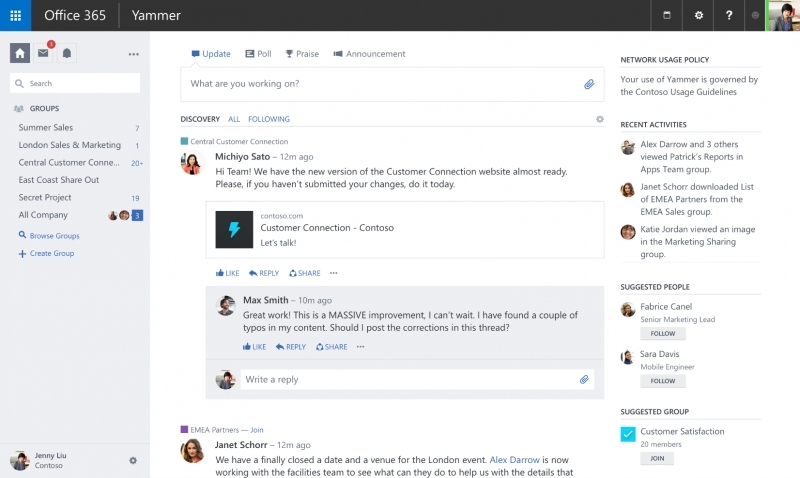 Yammer is revolutionizing internal corporate communications by bringing together all of a company’s employees inside a private and secure enterprise social network. 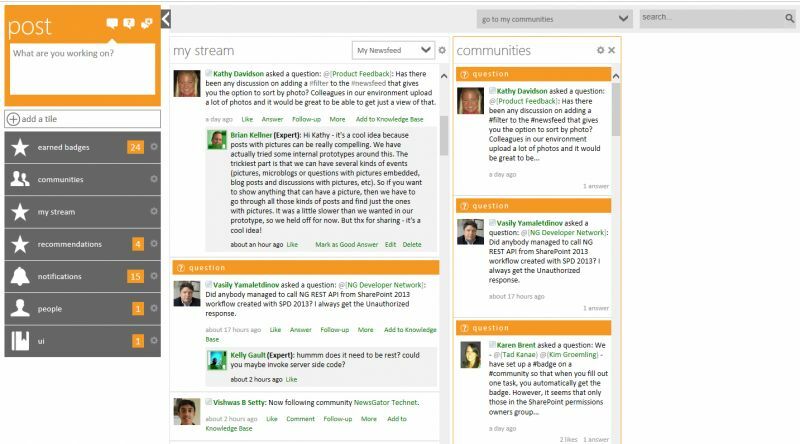 Although Yammer is as easy to use as alternative consumer products like Facebook or Twitter, it is enterprise-class software built from the ground up to drive business objectives. 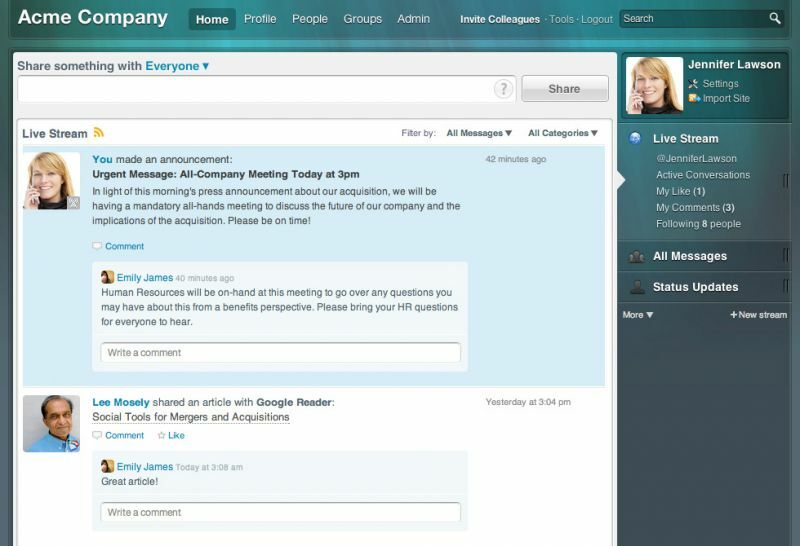 With Chatter, it’s easy to work together and know everything that’s happening in your company. Updates on people, groups, documents, and your application data come straight to you in real-time feeds. It's better than alternative solutions for Salesforce users. 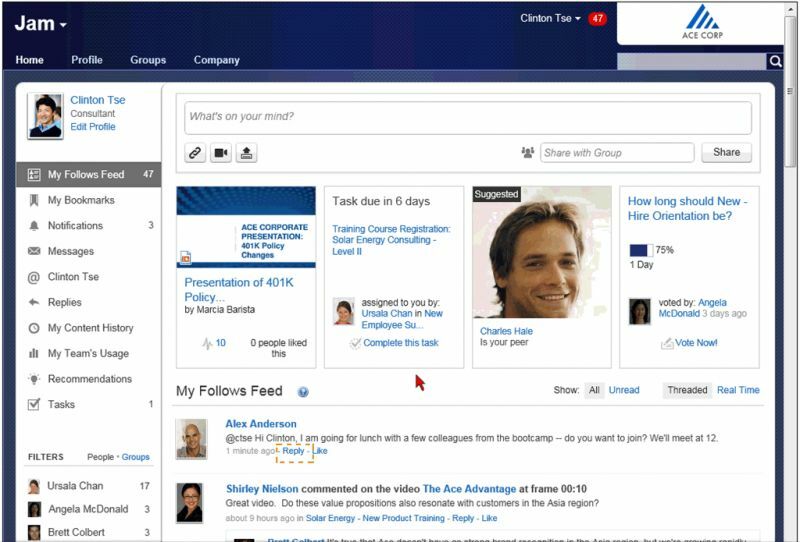 Jive’s enterprise social networking platform allows you to engage employees, customers, and the social web. Increase the efficiency of internal communication, build brand loyalty, and monitor customer chatter and ideas, all from one central location. 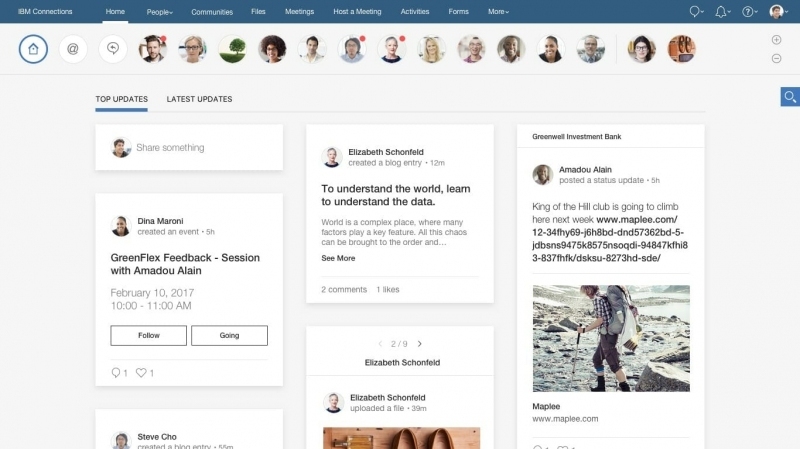 Say good bye to your intranet, multiple logins for scattered enterprise apps, and being out of the loop; the Jive Engage platform integrates the social networking tools you love and need so you can focus on what matters. 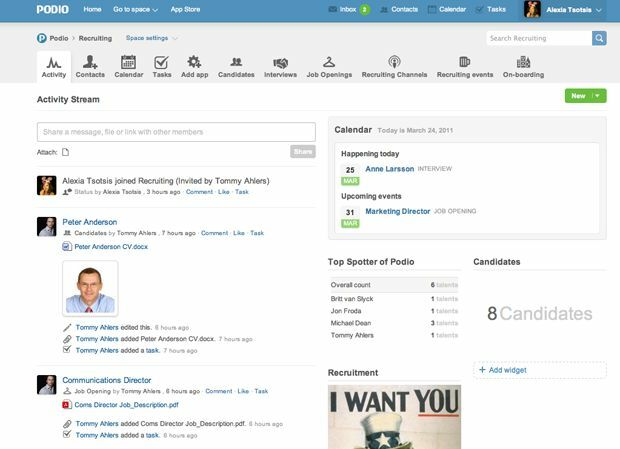 tibbr is the first social computing tool specifically built for the workplace that allows the right information to find you. Unlike social networking applications that focus on the concept of "following people," tibbr is the first to take an entirely new approach to social computing by allowing you to follow subjects, applications, and social event streams. 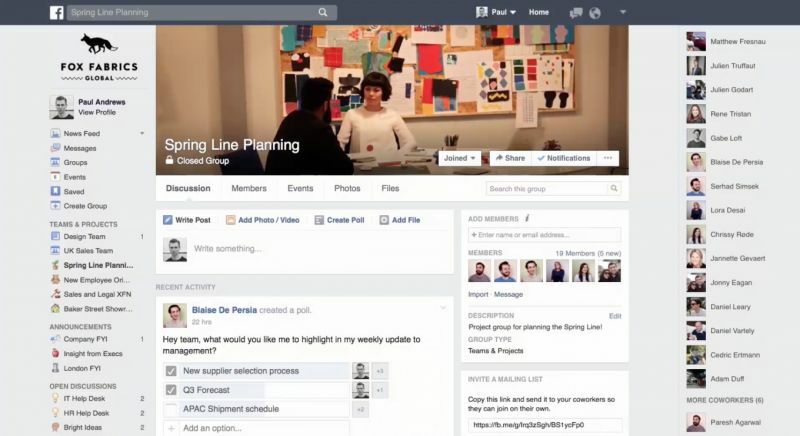 Facebook Workplace is business alternative to Facebook. Connect everyone in your company and turn ideas into action. Through group discussion, a personalised News Feed, and voice and video calling, work together and get more done. Workplace is an ad-free space, separate from your personal Facebook account. Empower your workforce, stay connected and be more productive with enterprise social collaboration tools and HR self-service solutions from Sitrion. We help employees to get their jobs done better every day. In a complex enterprise world, we enable an engaged workforce to stay connected, make smart decisions, and be productive. Enterprise social software with the fastest business value. With Socialtext, everyone knows what’s going on. People and teams are synchronized, engaged and informed. 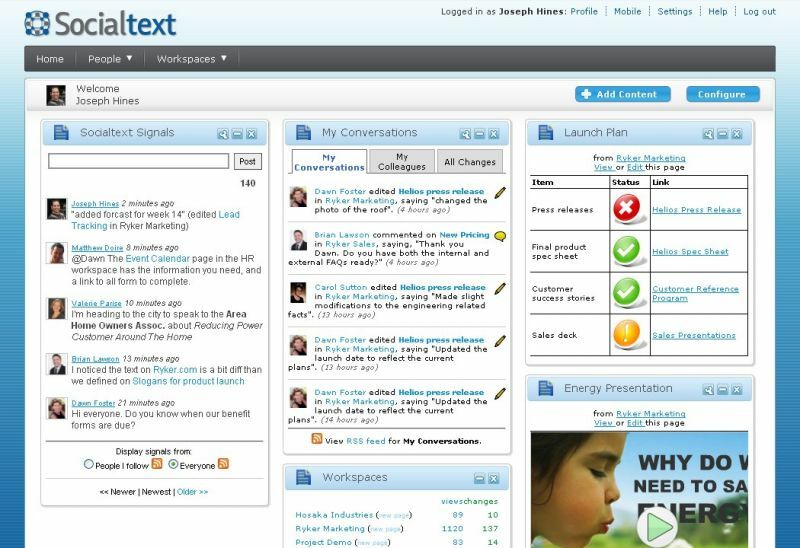 Socialtext provides a broad social software platform that has the ease of SaaS and the security of an on-site appliance. You get a quick deployment that focuses on your people, not on the software code. 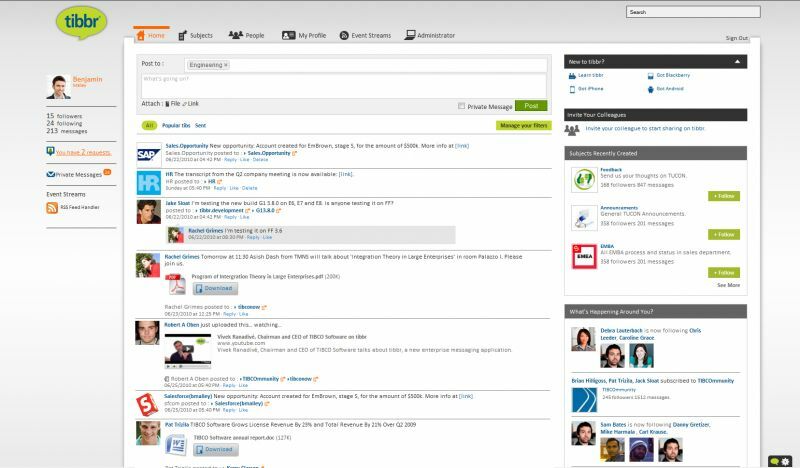 Socialcast creates a flexible, simple, data-rich collaborative space where employees can find information from applications, systems, and people across the enterprise. 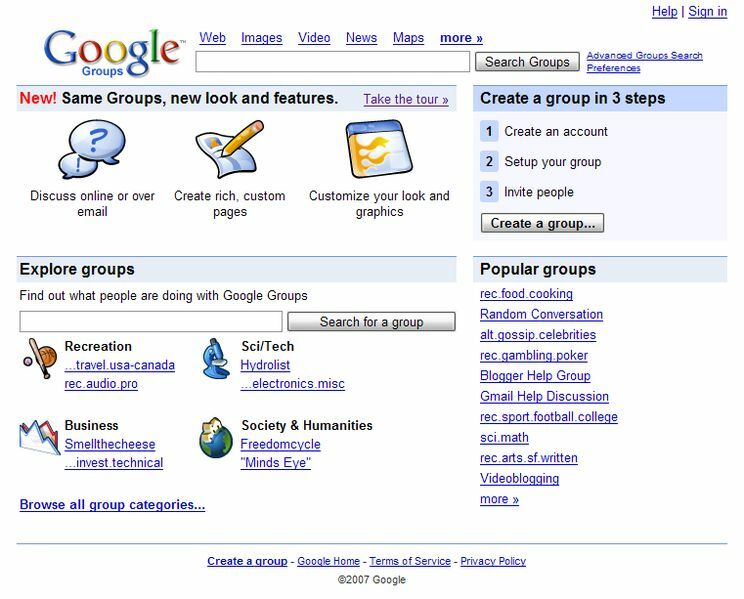 Google Groups provides a convenient way for your users to send messages to groups of people they frequently contact. A group contains the email addresses of its members, so users can send a message to all the group's members using the single address for the group. 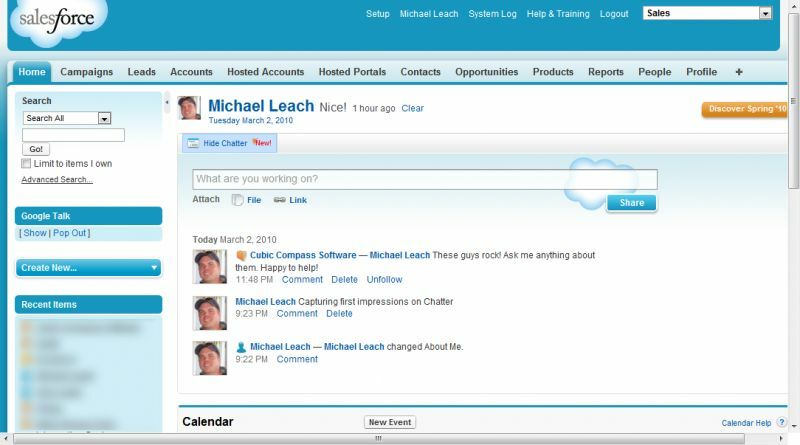 Novell Vibe Cloud is the first real-time social collaboration environment that's enterprise-secure. It's easy like Facebook, but combines real-time co-authoring, social messaging and file sharing with the security IT needs. The private enterprise social network for real-time collaboration. 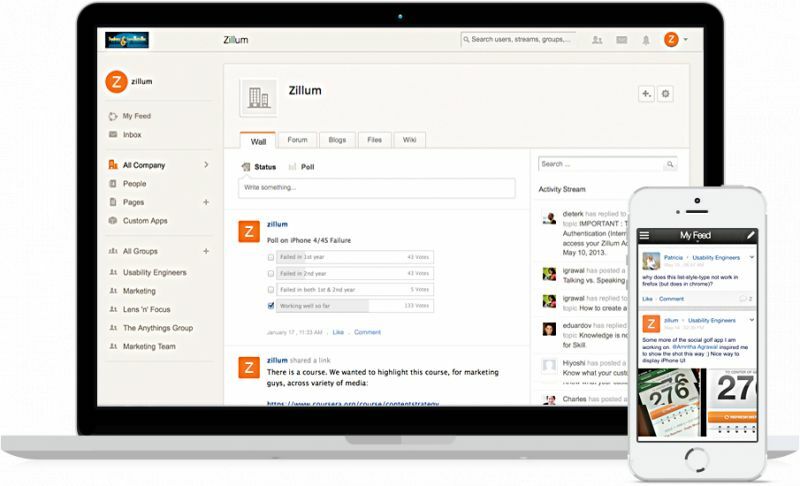 Stay connected to your team and projects via this next-generation social business tool. With Convo Chat on mobile, start your morning catch up while you're on the train, or walking to work and continue the conversation on your desktop at work. Zoho Connect, the platform for social collaboration, got Zoho Projects integration, so you can now convert your conversations into actions. You can create new tasks in Projects, directly from any of your Connect conversations, and start tracking their progress. You can also view and access tasks from all your Projects portals in Connect. Zoho Connect also got ShowTime integration to deliver your presentations and training. Another new feature - board templates - allow to simply pick any of your existing project boards and re-use them anytime you want. 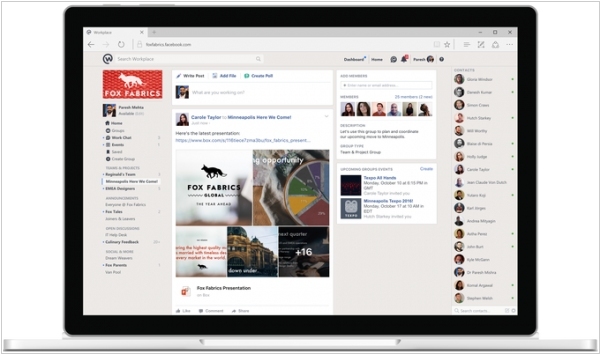 Facebook has added to its Workplace business software with 50 new app integrations from the likes of ServiceNow, Atlassian’s Jira Cloud and Microsoft Sharepoint. Workplace had only a handful of integrations at first, including Office 365, Salesforce and OneDrive. The new integrations mean that it is extending its focus from collaboration to automation and IT integration, The integrations are available through the new Workplace app discovery portal that include also SurveyMonkey, Cornerstone onDemand, Workday, and Smartsheet. 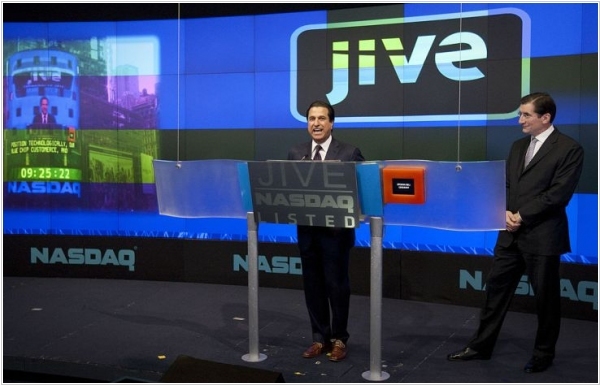 Jive, a community collaboration software company, is acquired by ESW Capital’s Wave Systems for $462 million. It will become part of the Aurea family of companies. The plan is to integrate Jive into Aurea’s customer experience management platform. The acquisition gives Aurea a tool for creating internal and customer-facing communities, a key piece in today’s customer service environment. It also gives them access to Jive’s customer base, which includes T Mobile, Schneider Electric, McAfee and EMC. 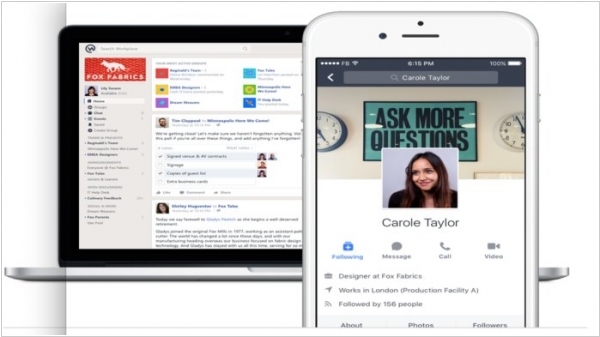 Facebook announced a bunch of updates to its Workplace by Facebook team communications tool. 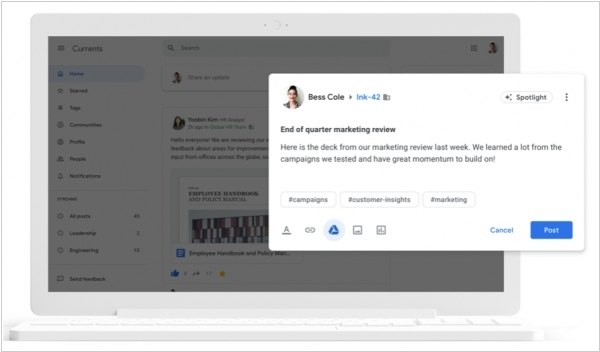 The company is also introducing bots into the Workplace experience in both Messenger and Group chat, which puts it on par with what Slack has been doing for some time. These bots are powerful entities, which you can call upon to help out. For instance, if there is an equipment problem, you could call on @repairbot to find someone to fix it. Developers can build bots for work chat and for Groups to do tasks like help order food or order a Lyft. Workplace also gets new integrations with Box, Microsoft and Quip/Salesforce. That means when you share a file in a Facebook group, instead of just a link, you’ll see a thumbnail and when you click it, you go directly to the file for editing or commenting.